Five wounded men identified as possible killers in a massacre of more than 160 people were detained in hospital and then transferred to Bamako, Mali military sources said Friday. The men were discovered among survivors being treated at a hospital after the slaughter on March 23 of Fulani herders in the village of Ogossagou by suspected militiamen from a rival ethnic group. “After we transported a first wave of injured we realised there was an attacker among them,” said a military source in Mopti, central Mali. During a visit to the hospital the day after the killings, an official questioned the man who had been wounded in the legs, and he acknowledged taking part in the attack, another military source said. Four others were also subsequently identified by survivors “as attackers,” the source said. 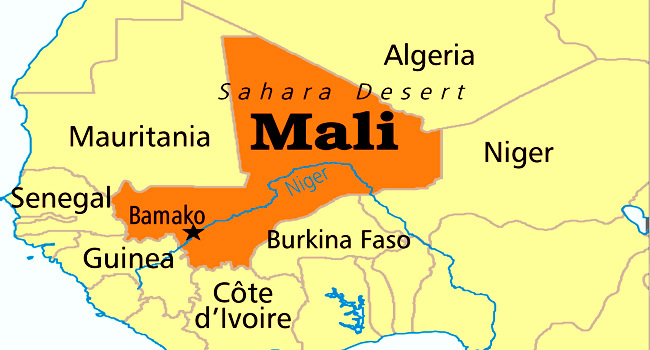 A Malian prosecutor then decided to have them transferred to the capital, he added. The attack is blamed on a militia from the Dogon ethnic group, a hunting and farming community with a long history of tension with the Fulani over access to land. So-called self-defense groups have emerged in the Dogon community in the declared role of providing protection against the insurgents. But these militias, called the Dan Nan Ambassagou, have also used their status to attack the Fulani.